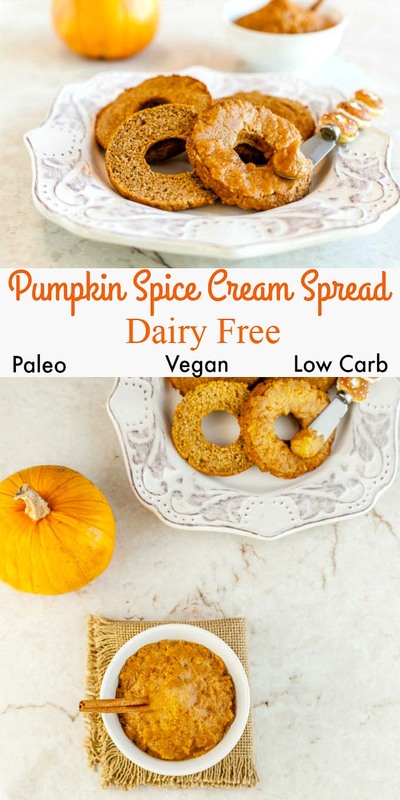 A Pumpkin Spice Cream Spread Dairy Free that is paleo, vegan, and low carb. 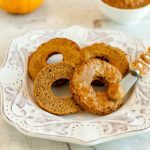 Pumpkin Spice Cream Spread Dairy Free is an easy to make spread for any paleo or low carb bagels, breads, muffins waffles or pancakes. The spread is grain free, paleo, vegan, dairy free, with low carb, sugar free and nut free version. 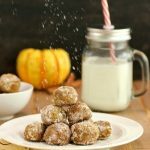 You can use unsweetened cashew butter or sunflower seed butter in this recipe. 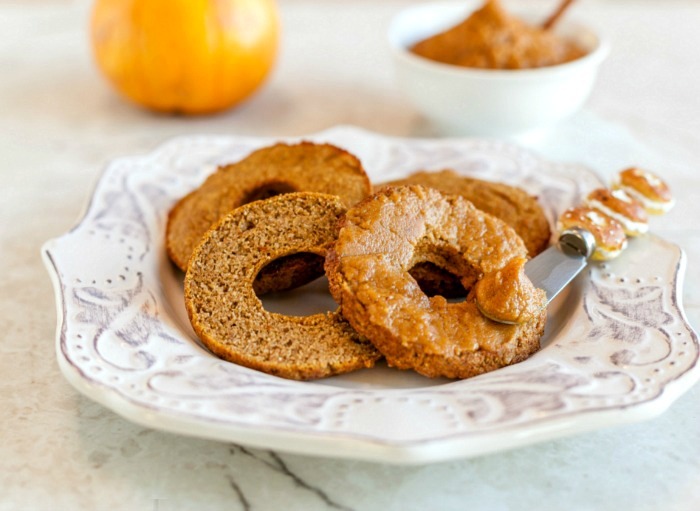 This is so darn delicious on my Low Carb Paleo Pumpkin Spice Bagel Recipe. This was so simple to make, but not so easy to photograph. I took a bunch of photos of the pumpkin spread that I thought, at the time, looked lovely. Only to later see them them enlarged on my computer and think something is very wrong here! They reminded me of something, and something not good or appetizing. Oh No, Not the Poop Emoji!! I sincerely apologize, but I must share the photo with you, because it is completely hilarious.. Once I added the eyes and mouth to the photo, it was spot on, lol. If you’re squeamish, just scroll past this photo, as there are other photos that are normal. I also took some normal photos, but could not resist sharing how funny this one turned out.. Look away if you’re squeamish! I promise, it tastes good, and does not look like this. I’m just not very talented at food styling, lol. In a small saucepan over medium heat and add all the ingredients above. Mix and heat until thoroughly combined. Remove from heat and spoon into a cover jar or container. Store in the fridge. Must let it become almost room temperature, or warm a little to make it soft & easy to spread after being in the fridge (it gets firmer in the fridge). Nutritional Data for Low Carb Version with Sunflower Seed butter & Swerve Sweetener: Servings: 9, Serving Size: 1 heaping tbsp or 21 g, Cal: 61, Carbs: 3.1 g, Net Carbs: 2.1 g, Fiber: 0.9 g, Fat: 5 g, Protein: 1.7 g, Sugars: 1.3 g.
Nutritional Data for Paleo Version with Cashew Butter and Maple Syrup: Servings: 9, Serving Size: 1 heaping tbsp or 21 g, Cal: 65, Carbs: 6.1 g, Fiber: 0.6 g, Net Carbs: 5.5 g, Fat: 5 g, Protein: 1.2 g, Sugars: 3.1 g.
a paleo, vegan, low carb, dairy free pumpkin spice cream spread. Lol! I so appreciate your honesty – thank you for sharing the picture! This spread looks so selfish! I really need to try your bagel recipe soon! This recipe sounds delicious! I’ll be putting this spread on everything! 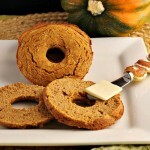 I always use the pumpkin spice cream cheese from TJ’s, solo good! I would love to make this paleo version! Lol it is hard for any one to make dips look good on camera! Thanks Bethany! I thought is was just me, lol. 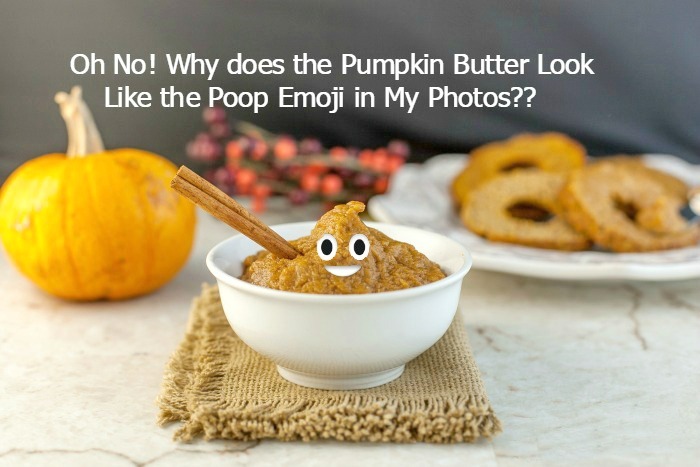 I totally laughed out loud at the poop emoji reference. Gotta keep it real. lol. On another note the recipe looks delish! 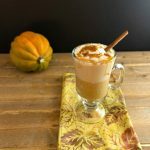 I love anything pumpkin and this spread sounds just delicious. 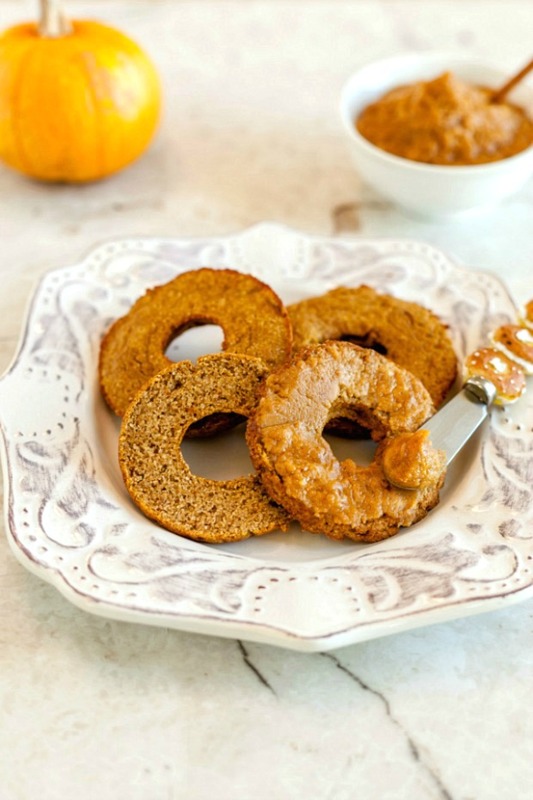 I bet the cashew butter with its naturally sweet taste is just perfect combined with the pumpkin. Definitely to be eaten by the spoonful. This recipe sounds easy to make and delicious. I bet it’s really great with the cashew butter. I bet my kids would love this slathered all over their breakfast pancakes. Oh, and thanks for the laugh. My daughter texted me one day and said, “Mommy, I texted you and sent you 100 Hershey’s kisses.” I didn’t have the heart to tell her what they really were! Hi Kim, Well bless her heart, that is so cute! They do look like Hershey kisses! This looks delish! I bet I’d just eat it with a spoon! Thank you Tasha. I hope I did not freak anyone out with my somewhat inappropriate humor. There are 13 year old boys at my house, so the bathroom humor is in full swing here.